An enduring image of the Old American West is the antipathy of cowboys to horse thieves, and most stories end with the perpetrators having an unpleasant meeting with a piece of rope and a tree limb on the prairie. 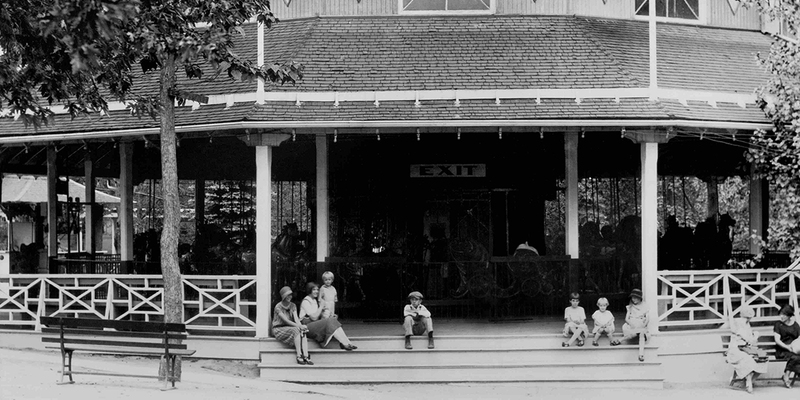 Horse-stealing remained alive and well a hundred years later...with a slight difference...when the horse thieves struck the Kit Carson County Carousel sometime during that weekend of May 3, 1981. 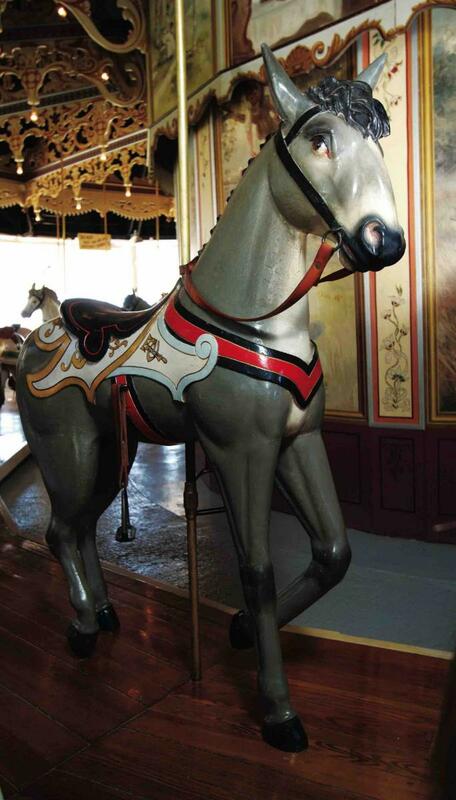 The burglar alarm on the carousel building malfunctioned and when the repairman entered the carousel the following Monday, he discovered three inside row wooden horses and a donkey missing. It was later learned that the "carousel caper" was one of 10 thefts undertaken by a Kansas-based burglary ring specializing in antiques. Newspaper clippings from the time of the theft. 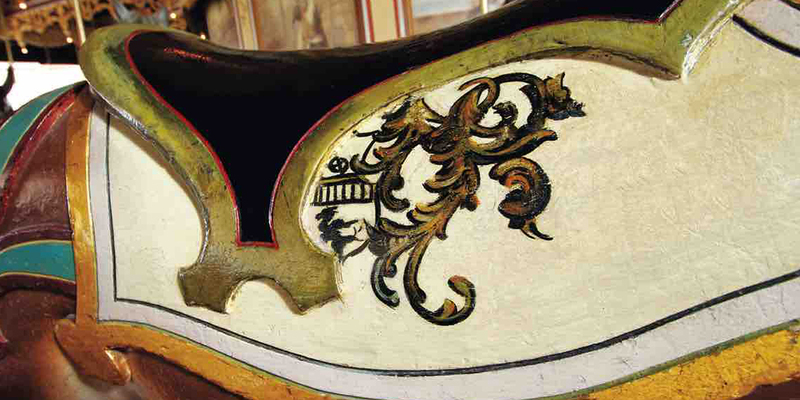 A few months after the carousel burglary, Kansas authorities discovered the missing carousel figures along with guns, old coins, museum pieces, and other stolen antiques in the Salina warehouse. Seven persons faced a variety of conspiracy and stolen property charges relating to the multi-state thefts, but only two were directly charged in connection with the carousel burglary - Rickey Joe Ramsey and Gene Thomas Skidmore. Carousel Association members travled to Salina to pick up the wandering steeds and brought them back to Burlington in (naturally) a horse trailer! 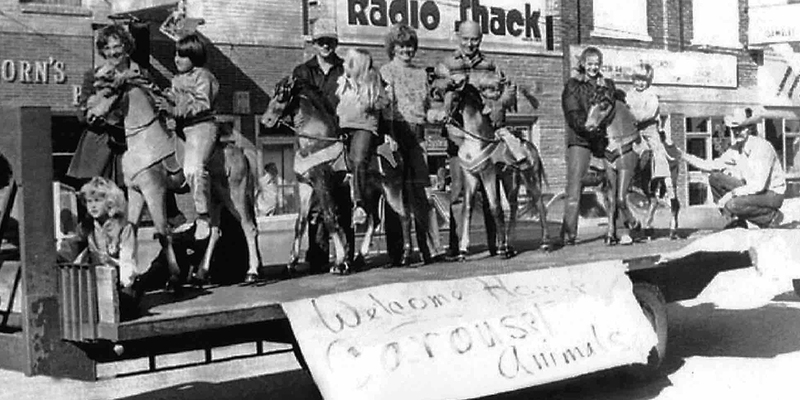 After a parade down Main Street, the donkey and his three wooden friends were returned to their appropriate spots in the carousel on October 31, 1981 to once again spin around and around for decades to come. As for Ramsey and Skidmore...no, they didn't meet up with Old West justice for horse stealin'. Some things have changed since the 19th century.